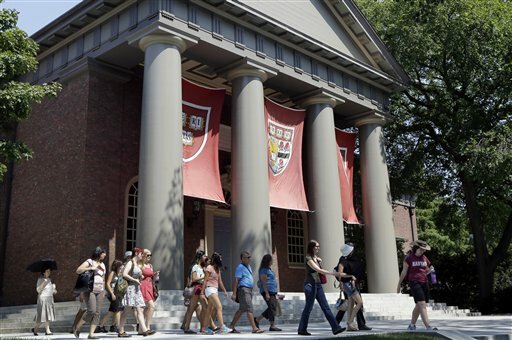 Harvard University found itself in the news thisweek when 125 undergraduates, many of them varsity athletes, were accused of cheating on a take-home exam. But the accused at Harvard are hardly alone: Donald McCabe of Rutgers University, who has been monitoring student cheating since 1990, reported in an article in Time Magazine that in a 2010-2011 survey, 62 percent of undergraduates admitted to cheating on exams or term papers. I’ve been teaching at the university level for over 40 years and I believe this number — 62 percent of the students cheat or plagiarize — is somewhat of an exaggeration, and has to be put into context. I know from my years in the classroom that students will and do cheat. But, and this is an important but, it’s not the case that 62 percent of all students are cheating all the time. The disappointing fact is that lots of students cut a few corners at least one, sought out inappropriate help, got someone to finish an assignment for them, paraphrased more than is usually allowed or faked a footnote or two. But my experience does not lead me to believe that the majority of students are cheating all the time. Teachers don&apos;t have to be constantly on guard or in an adversarial relationship with their students. The “exact number” of students who cheat is less interesting to me than knowing why students cheat. On one level students cheat for all sorts of pedestrian reasons: not being properly prepared, issues of time management, the raw fear of failure. But there are darker and more alarming reasons as well. Unfortunately, a lot of students cheat because they don’t take college seriously. They feel that they are there because they have to be — to get a job and get on with their lives. Too many college students are totally bored with the academic part of the university experience. And, because they are bored, as Donald McCabe suggests, they feel that “they can make their own rules.” College for too many students is about social contacts, future business contacts or just plain fun, before they are slowed down by the responsibilities of adult life. Consequently, if they are bored and their interests really lie elsewhere, cheating makes sense. I think all universities and colleges need to address this issue. When I was an undergraduate, (just after Guttenberg developed moveable type) cheating of any kind meant you were automatically dismissed from the university, end of issue. I know it sounds Draconian, and it is — I don’t think it we should reinitiate this kind of policy. But I do know we have to do something. We need to change the college culture and, perhaps the place to start is to remind our students that no matter how much money their family has, college is a privilege and not an entitlement. Nor should college simply be seen as a job fair. It’s about character formation. And do they really want to cheat on that?